We are celebrating our 10th anniversary this year, so you can be assured that we have the experience and knowledge to get things done right, on time and on budget. Our company strives to provide customers with high-quality products and services in the renovation process while taking care of each detail so that the final result is the one you have always wanted. The building of quality renovations is in our blood. 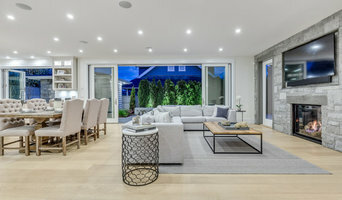 reVISION Custom Home Renovations has been providing award-winning Greater Vancouver home renovations and home building services for over 15 years. 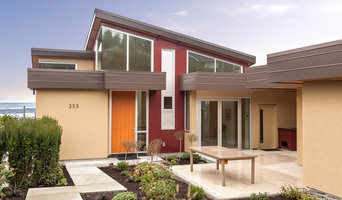 Kemp Construction is a full service builder & home renovation company based in the Vancouver area. 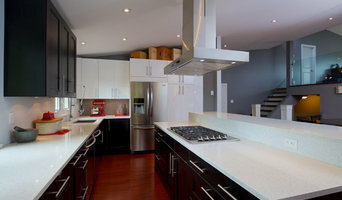 We specialize in projects ranging in size from small kitchen makeovers to full home renovations. With over 25 years of experience, our objective is to provide outstanding service to our clients with integrated build and design solutions that are furnished on time and on budget. With over 15 years experience and a real focus on customer satisfaction, you can rely on us for your next renovation We provide a professional service for detail oriented homeowners. With over 10 years of experience in the greater Vancouver area, we provide a quality service and welcome the opportunity to bring your visions to life! 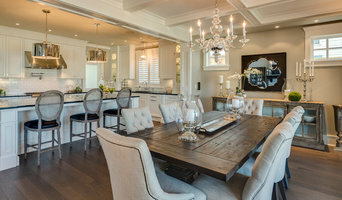 BEST OF HOUZZ 2015-2019! 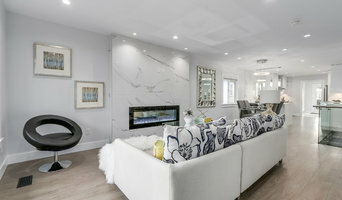 Showcase Interiors Ltd. is a fully licensed and insured general contracting firm with a reputation for providing high quality, premium Vancouver renovation services. Ambience Development Ltd. (ADL) was founded by Shlomo Laniado out of his love and passion for wood and hardwood floors. He offers twenty five years of progressive experience. We work closely with our customers and take pride in our craftsmanship. We have a proven track record extending back many years, a record of integrity, expertise and customer satisfaction. Since in 2014, HB Builders has been a trusted construction and building solution in Vancouver, the Lower Mainland and abroad. With a focus on finishing carpentry and high-end renovations, HB Builders has been fortunate to be a part of impressive projects. With over 15 years experience and a true love for the art of making beautiful homes, HB Builders is a trusted partner for all your home needs. Based in Vancouver, B.C., Steric Developments maintains the highest degree of professionalism and quality throughout the process of design, construction and completion of every project. If you're on the brink of a large home improvement project, remodel, or new build, you'll likely want to hire a general contractor in Sunset, BC. These professionals manage all aspects of the job to ensure it's completed on schedule and to your satisfaction. Whether you’re trying to find Sunset building contractors for a new construction, or home improvement contractors to spruce up your existing place, it’s important know exactly what role they will play in the project. Read more below for a list of must-ask questions. General, or construction contractors, are often known as project managers. They oversee the entire remodeling or new home construction project and facilitate all day-to-day tasks that move it toward completion. A Sunset general building contractor will work with your architect to review plan as you build a house and ensure everything is in place before work is started as well as arrange for permits and necessary inspections. While good local home improvement contractors in Sunset will have the skills to handle certain tasks onsite, such as carpentry, he or she is also responsible for hiring subcontractors for the majority of jobs, such as electrical work, painting or plumbing. In addition, the general contractor should be on-site regularly to inspect the progress and resolve issues. Here are some related professionals and vendors to complement the work of general contractors: Architects & Building Designers, Interior Designers & Decorators, Landscape Architects & Landscape Designers, Kitchen & Bath Designers, Specialty Contractors. Home remodeling contractors are a must for successful completion of a renovation. Because of this, it's essential that you do your homework before deciding on the right general contractor in Sunset as you remodel or build a house. Inspect bids carefully. Was it ready when the contractor promised it? Was the bid for building a home unusually high or low? Each of these things can be very telling: A late bid may reflect timing standards, and an off-the-mark bid could be code for a pricey premium or a deliberate underbid to score the remodeling job. You should call references, carefully read reviews and visit completed projects in Sunset, BC to see if they’re what you expect for your job. Once you do secure your local Sunset contractors, read the contract very carefully to be sure everyone is on the same page. Find a Sunset contractor on Houzz. Narrow your search in the Professionals section of the website to Sunset, BC home contractors. You can also search for photos in Sunset, BC and contact the Sunset general contractor who worked on the project.